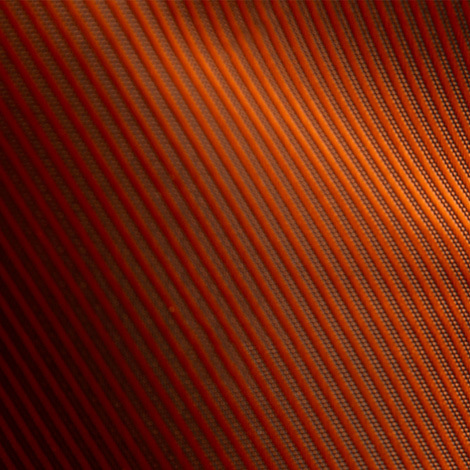 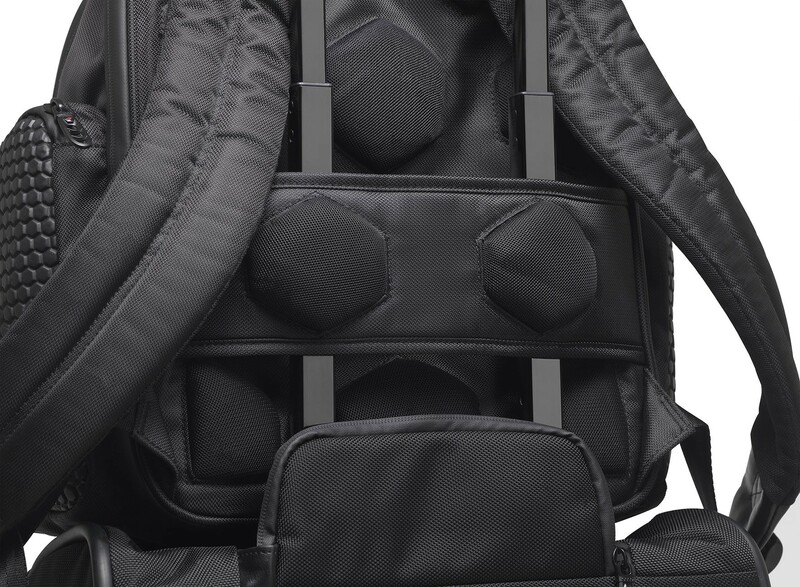 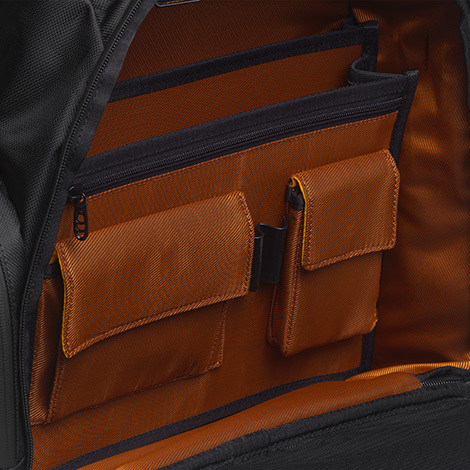 Engineered to the requirements of the business traveller, it acts as a shield for the modern commuter's tools of the trade. 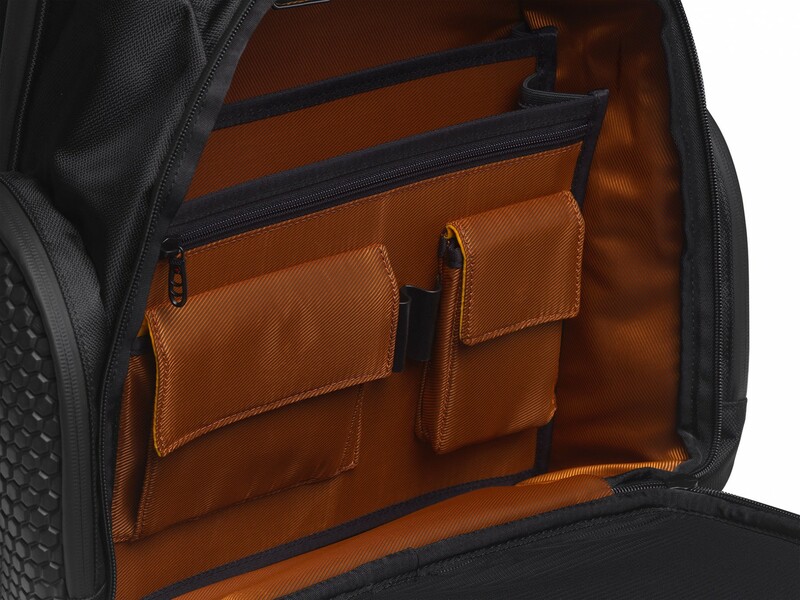 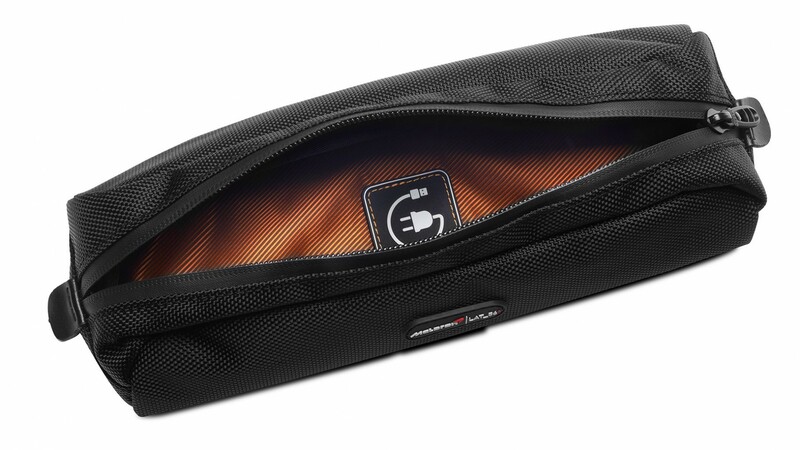 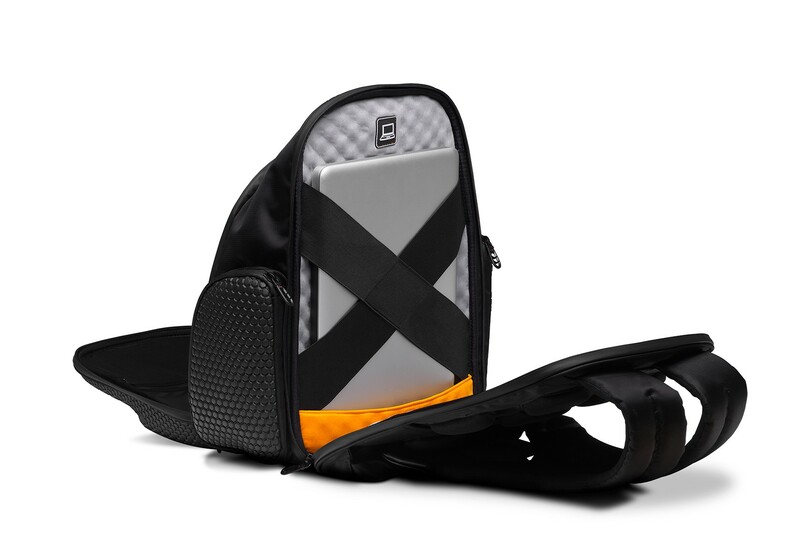 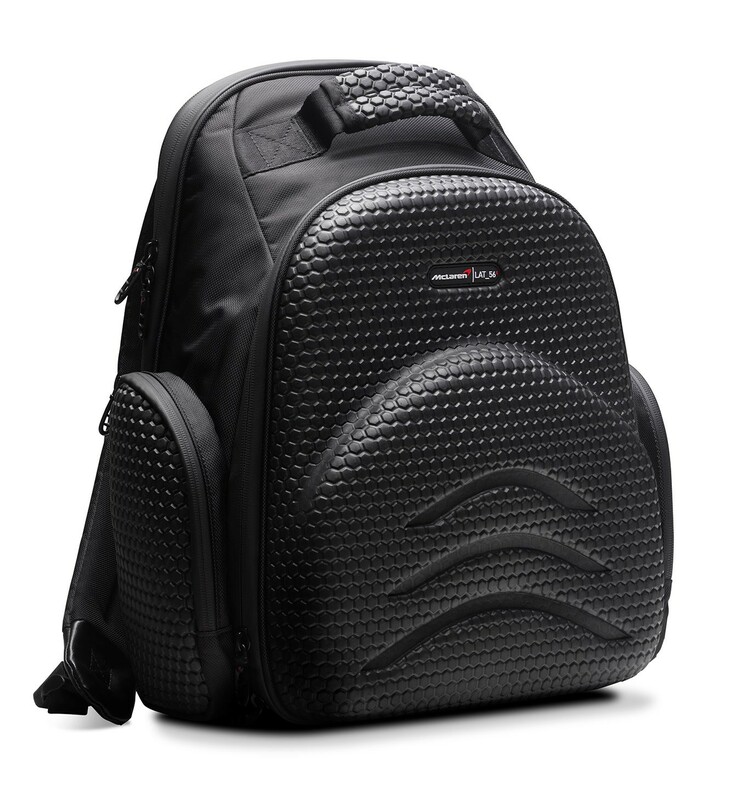 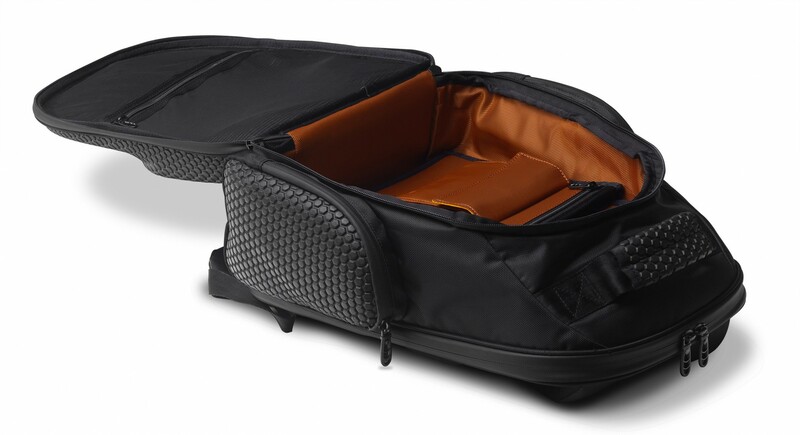 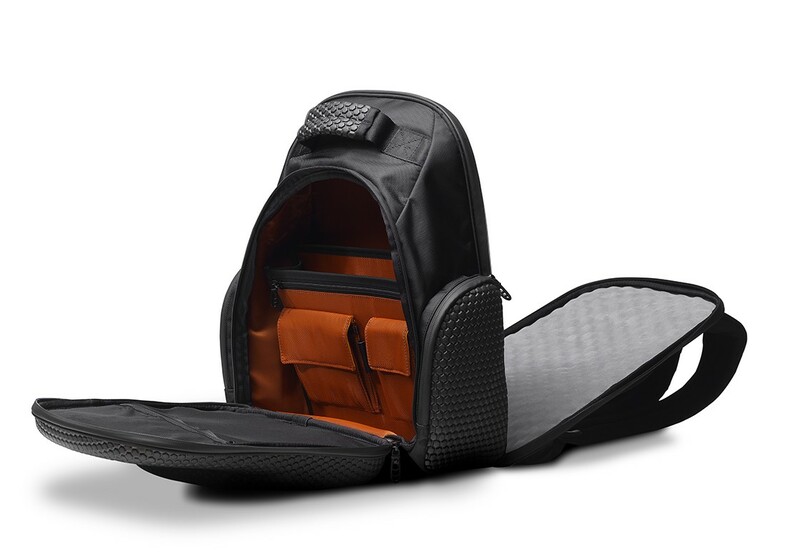 It offers a unique and practical clamshell opening with a bombproof NASA-spec memory foam laptop compartment (sizes up to 15.6"), large main compartment with document pocket, 2 side pockets and an airport security checkpoint friendly laptop compartment. 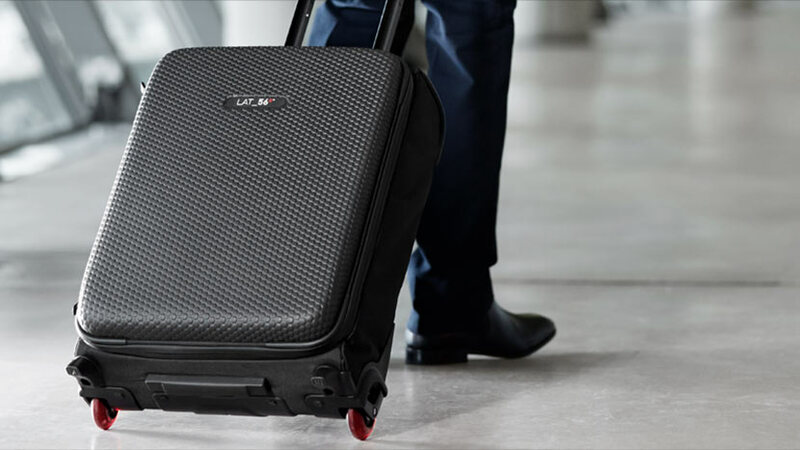 Now you can travel on business in comfort and still look the part. 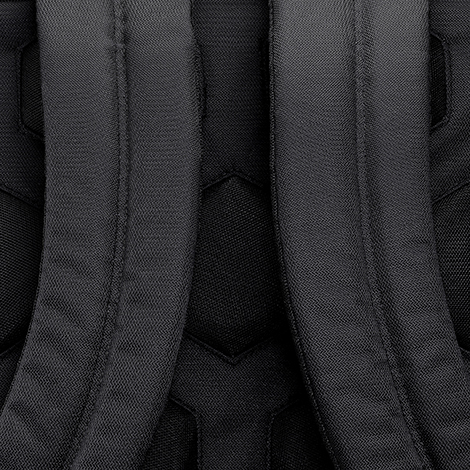 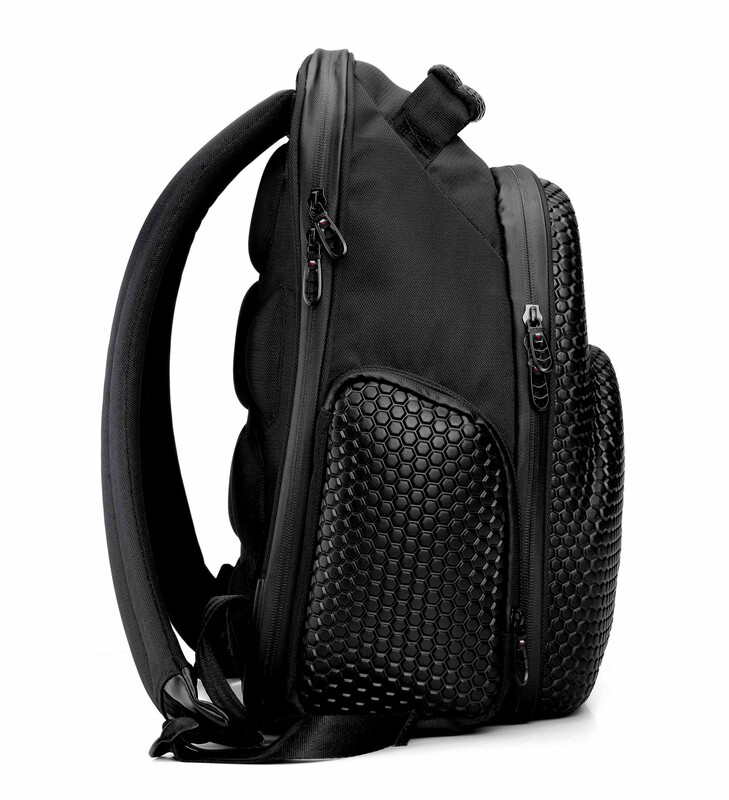 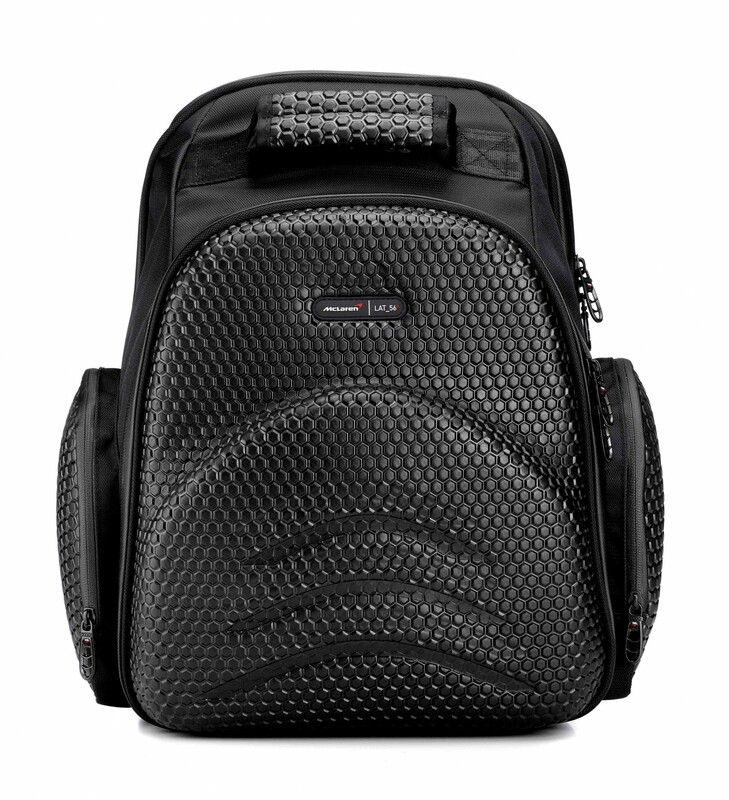 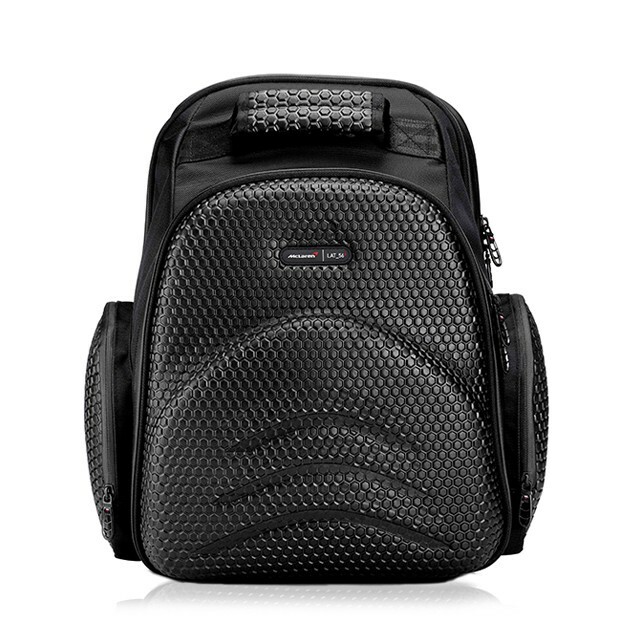 If James Bond had a backpack it would most definitely be this. 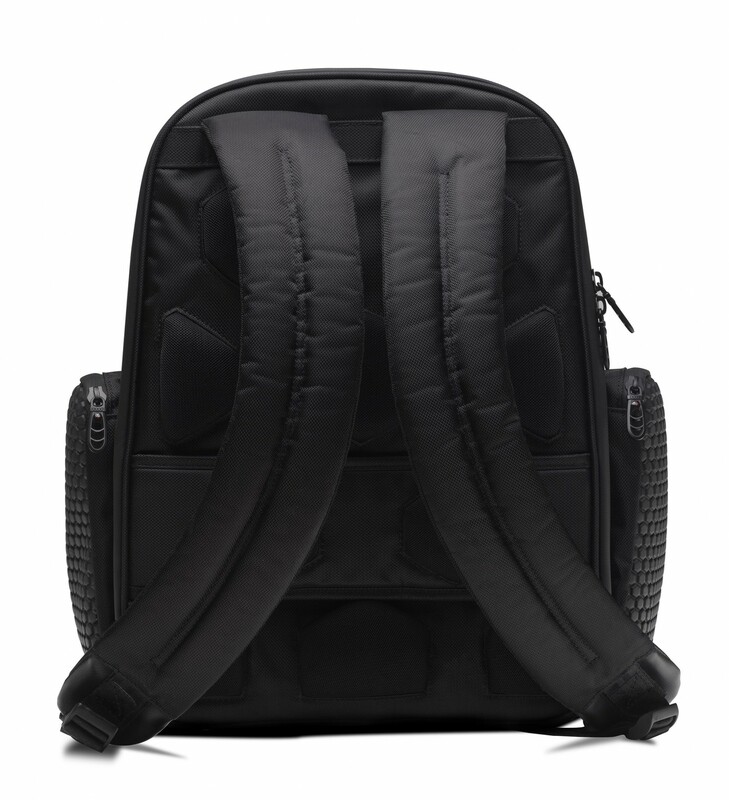 Military-spec moulded EVA foam + durable waterproof luxurious nylon twill fabric.